Hosting a scotch tasting party at home and learning how to taste scotch is a unique and enjoyable way to get great friends together. A scotch tasting party is a great party to throw in the winter months – getting friends out of their homes and warmed up together with a selection of great-tasting scotches. Some things to consider when preparing your home for this party is the temperature and aromas in the room. 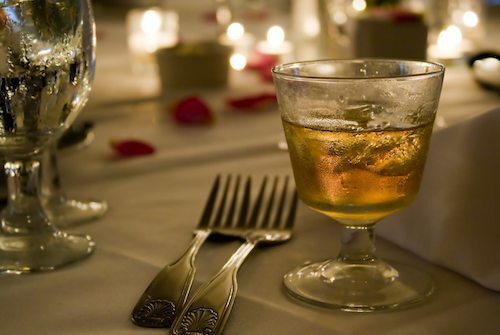 Scotch should be served at room temperature and any lingering aromas in the house or room will affect the tasting. Turn off air fresheners for the day and don’t use heavily scented cleaning product prior to having people over. Another item to consider are glasses. Serving scotch in rocks glasses is just fine. Although the appropriate style of glass used for tasting scotch are similar to snifters. By using a glass with this shape, it allows the scotch to be swirled and for aromas to gather inside the bowl and it’s perfect for aerating and nosing. Aerating is simply when you swirl the scotch in your glass to allow oxygen into the spirit. This helps release the aromas. Nosing is when tasters stick their nostrils in their glass to try to identify the contents. We suggest selecting five single malts from five different whisky producing regions of Scotland. Speyside, Gleniddich, Ardmore and Knockando, Highlands, Lowlands, The Isle of Islay, Cambellton. Each of these renowned regions produce Scotches of different personalities. Suggestion: To get your guest excited for the tasting party and to also make the party more affordable, have your guest each bring a bottle of their choice. This will not only ensure a nice variety, it will also give your guest the opportunity to get involved. 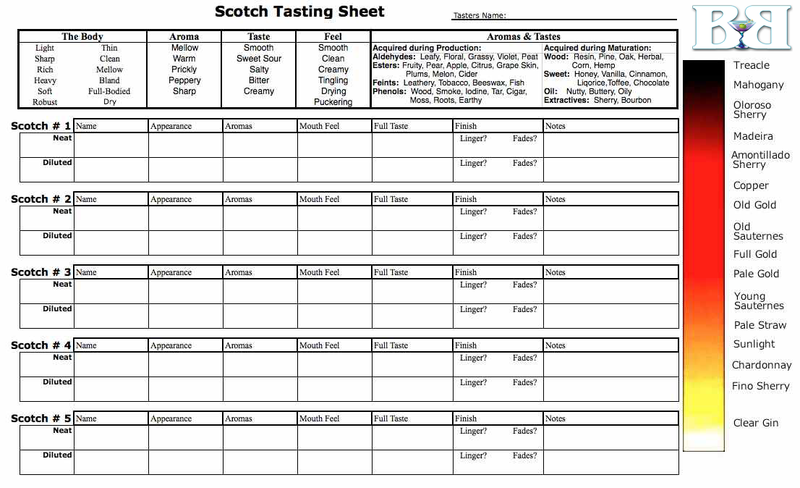 For part 2 of Hosting a Scotch Tasting Party, be sure to read How to Taste Scotch and download our Scotch Tasting Sheet.